DTG Services specializes in general contracting & complete demolition & remodeling of kitchens; bathrooms, flooring, painting & much more! With over 20 years of experience, Bath and Kitchen Experts specializes in bathroom remodeling and kitchen remodeling. 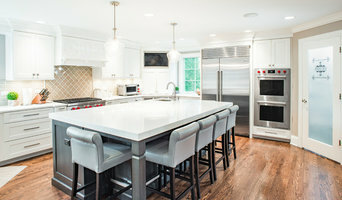 Bath and Kitchen Experts has been transforming homes for decades and has earned the reputation as one of the best in the industry as reflected by our Best in Houzz 2015, 2016, 2017 & 2018 Service award and Angie's List Best in Service 2012, 2013, 2014, 2015, 2016 and 2017 awards. Our mission is to provide our clients with excellent and value-laden bathroom remodeling and kitchen remodeling to enhance their home’s aesthetics and functionality. Our team works relentlessly to satisfy our customers with our standards of quality, ethics and integrity. We aspire to develop a long-term relationship with the customer and guide them at each stage. Set-up a showroom appointment with us to check out the latest range of showers, bathtubs, bathroom and kitchen cabinets, lighting options, flooring samples, fittings and fixtures. You will surely be able to find something that will fit well in your budget and match your taste. The focus of my company is customer satisfaction. We have worked hard to satisfy our customers by providing them with both beautiful and functional kitchen remodeling and bathroom remodeling designs as well as flawless construction. For us, the project is complete only if we are able to bring a smile to the face of our satisfied clients. Call 224.404.0151 or email us at Paul@BathAndKitchenExperts.com. We specialize in selling European porcelain tiles, ceramic tiles, bathroom furniture and accessories. At Majestic Tiles we also offer residential and commercial services, specializing in kitchen and bathroom remodeling, nothing but quality work at excellent prices. Our team of experts will support your project to best suit your needs including free, accurate, detailed construction estimates throughout the design process. Customers can be assured that the right person is staffed at the right time to get the job done while meeting or exceeding customer's expectations. Services also include trim work, installations, and other small projects. We offer custom shower doors with installation, plumbing and electrical work as well. With over 10 years of experience in the residential and commercial flooring industry, Synergy Floor, is your go to team of professionals for all of your needs. We take pride in our ability to meet and exceed your expectations and work tirelessly to perfect our craft. Give us a call today and let us get started! Century Tile is a family owned and operated business serving Chicagoland since 1947. We are a customer driven company and we differ from our competition by our products, presentation, and service while continuing to support our reputation for value and selection. Quickly put…to make Century Tile “simply the best." Century Tile’s eight locations and commitment to Chicago for over 65 years; First Quality Flooring, Value Pricing, Best In-stock Selection, and Knowledgeable Staff. We also have the Midwest’s largest in-stock selection of flooring. We carry over 10,000 styles and colors of floor coverings which we import directly; as well as carry many of the major flooring brands domestically offered. Century Tile’s size and buying power allows us to offer you the best selection of products at the lowest price and best value in Chicago that you can take home today. Century Tile offers you Chicago’s most knowledgeable people who have an average of 12 years of flooring experience. Our sales staff will assist you with any flooring project that you might have. Established in 1961, Mid America Tile is a wholesale tile distributor and importer specializing in all materials and styles, including ceramic, porcelain, glass, metal, and natural stone tile. Our two showrooms contain the best selections of tile in the Midwest. We import, inventory, and distribute tile for any size project. We have the best knowledge, best service, and deliver the best prices. Our knowledgeable staff works directly with clients to ensure the best product for any budget. Mid America Tile provides products and solutions to Architects, Designers, Developers, Builders, Contractors and Specialty Floor Covering Dealers involved in Hospitality, Health Care, Education, Residential and Commercial projects. Our tile expertise is used in a wide variety of projects from O’Hare International Airport, to Woodfield Mall, and countless residential projects; from skyscrapers to hotels and luxury private residences. verything we do is informed by our core values. While the evolution of design, architecture, and tile technology is constantly in motion, the Mid America Tile set of core values stays the same; we are dedicated, passionate, and reliable. Ownership and accountability from each employee ensures that we exceed our customers’ expectations. Many of our products are sourced locally to support eco-friendly local business. We foster connection to our community of clients, and to the world at large. StonePeak works hard to create a higher standard in the tile industry. StonePeak is constantly evaluating its impact on the environment through its production processes and is continuously looking for technological advancements aimed to improve the sustainability of its high-quality products. From the beginning of the production process to the end consumer, StonePeak strives to lower its impact on the environment and create the most sustainable products possible. Chadwick's Surfaces International is a manufacturer, designer, and distributor of natural stone, terra cotta, ceramic tiles, and related architectural elements and furnishings. It is our ceaseless effort at Chadwick's Surfaces International to discover new products that will overcome and exceed our mutual expectations. We develop these new discoveries. By testing different combinations of finishes, edges and ranges, we push the stone past its natural state, and create innovative products that evoke impactful and memorable impressions that outlast trends and time - as tough as stone. 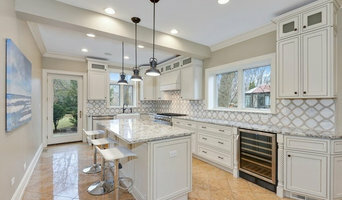 Kenosha Racine Granite Corp is a wholesale granite, quartz and marble countertop and cabinetry distributor, fabricator and installer outlet center. We also offer 5 lines of cabinetry to fit your project budget. Why go to a store when we are the fabricators and installers! With over 450 slabs in stock, we are the largest in-house inventory of Granite & Quartz in SE Wisconsin ! We custom fabricate , polish and install, granite, marble and quartz slab selections, Hundreds of colors and styles to choose from our warehouse. Visit our showroom to feel, see and pick your very own countertops and cabinets! We will work with you to make your dream kitchen a reality!